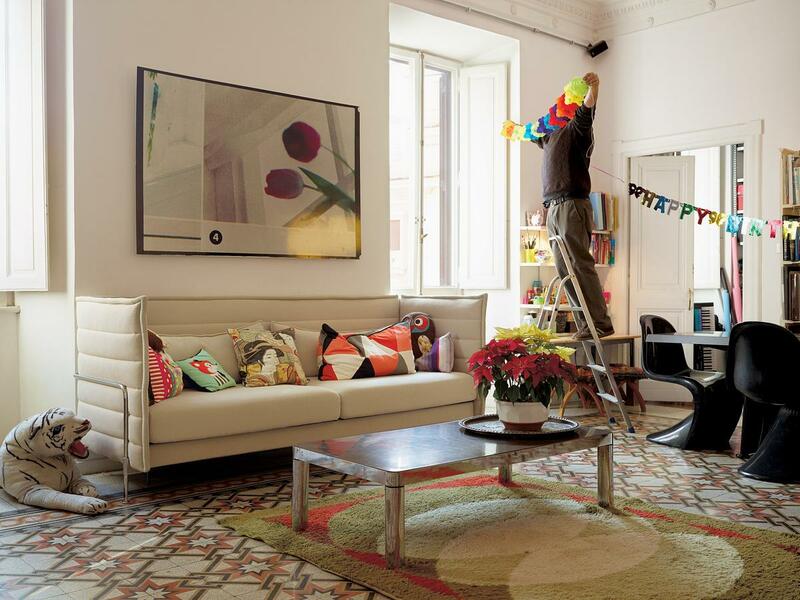 The choice of furniture always reflects the lifestyle of its owners. 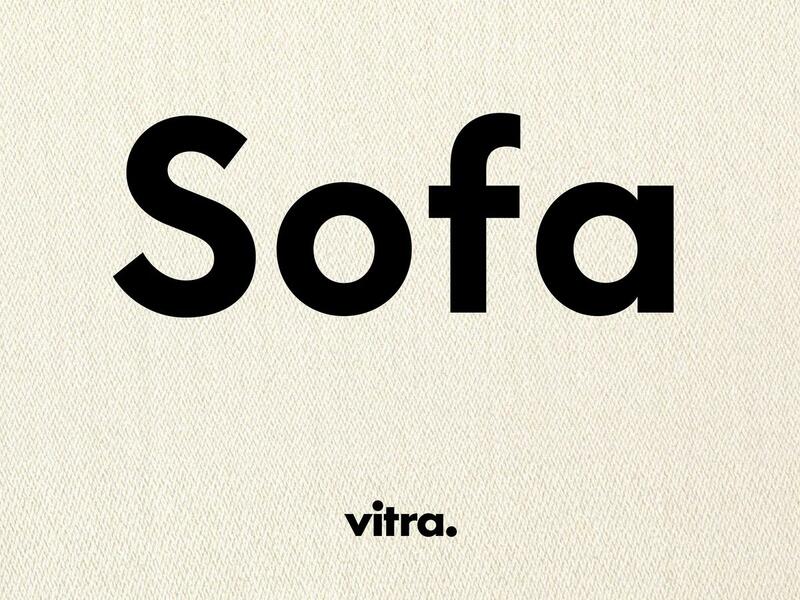 As with the choice of shoes, or choice of clothes, is the choice of sofa; except that the choice of sofa is also defining for the space in which it stands. Thus whether purchasing shoes or a sofa, care should be taken, for all on account of the large selection: a large selection with one common factor, they should be as comfortable as possible. 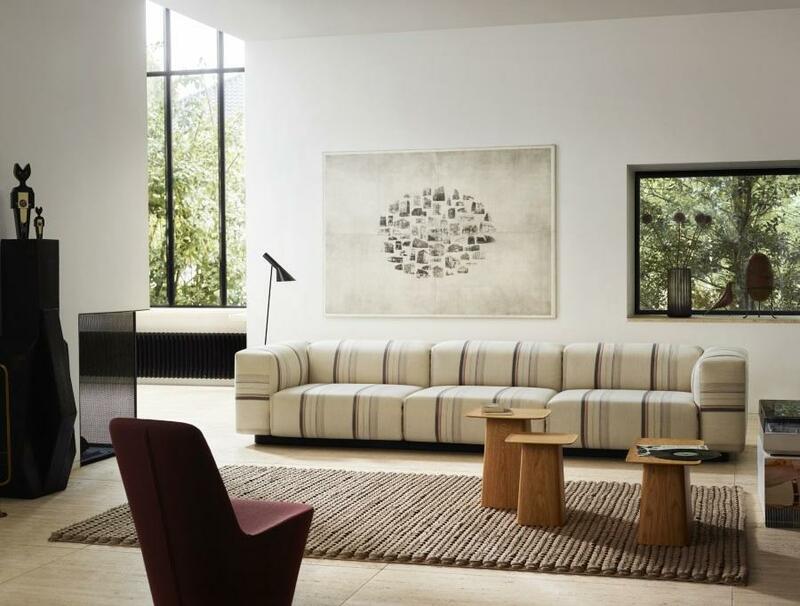 In domestic spaces, we all, but especially families, want spacious, comfortable sofas on which several people can find their space and so lie or sit around the coffee table together. 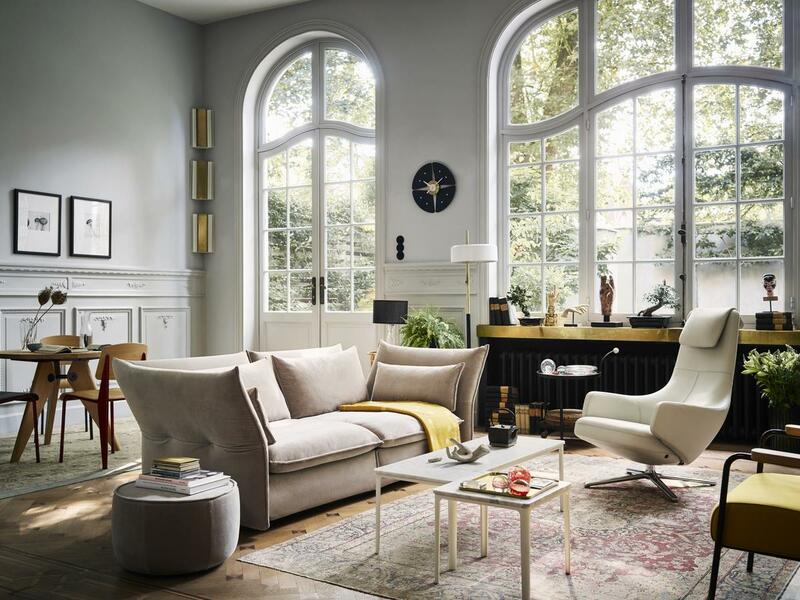 The Vitra Mariposa sofa by the two designers Edward Barber and Jay Osgerby, for example, is not only available in three different sizes, but also in various colours, so it can be perfectly tailored to individual requirements. 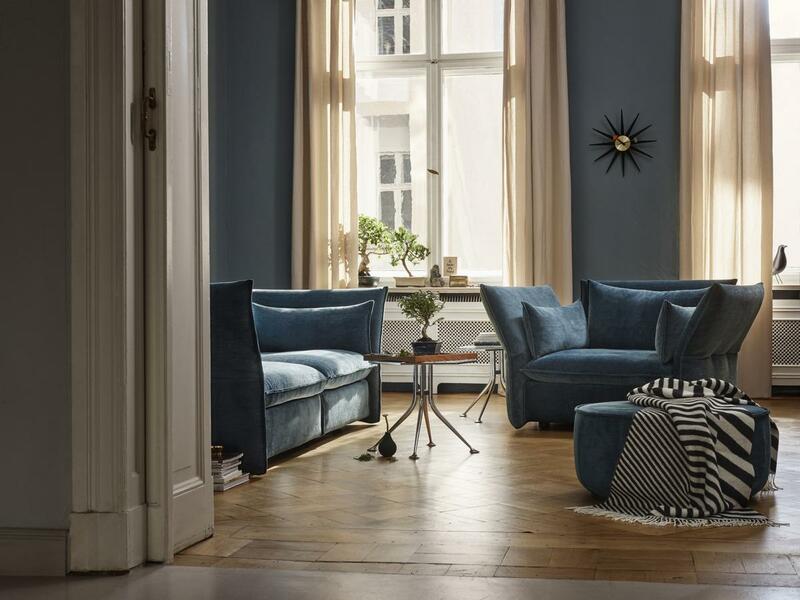 The Polder Sofa by Hella Jongerius offers a spacious, and equally unusual solution in various colour combinations, each discreetly graduated between the individual elements of the sofa create a unique colour effect. Sofas in work areas, lounges or even waiting rooms need to be just as comfortable as those at home, but they are also subject to other requirements. The Vitra Alcove Highback Sofa, for example, is extremely flexible thanks to its lightweight construction and, thanks to the extra-high backrest, offers exceptional seclusion, which proves to be ideal in offices and busy working areas. 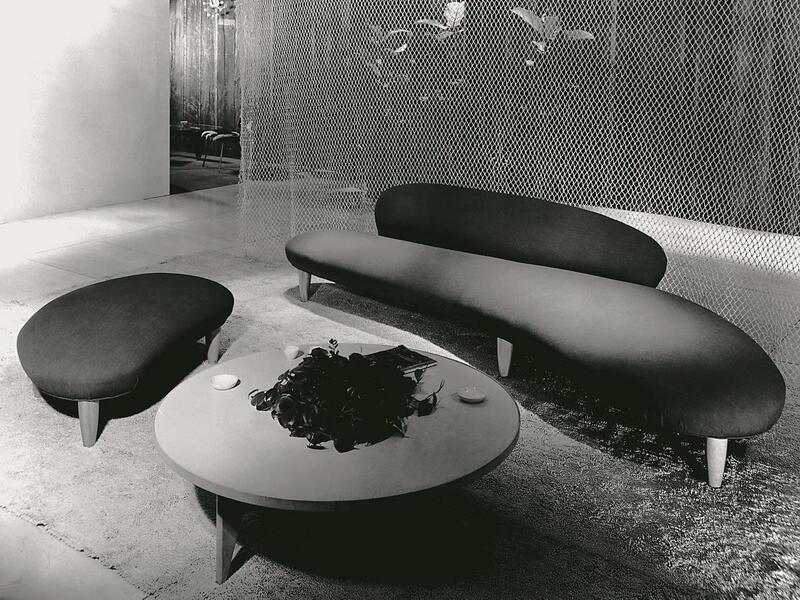 The Freeform Sofa by the Japanese designer Isamu Noguchi is particularly suitable for representative rooms or the lounge area. 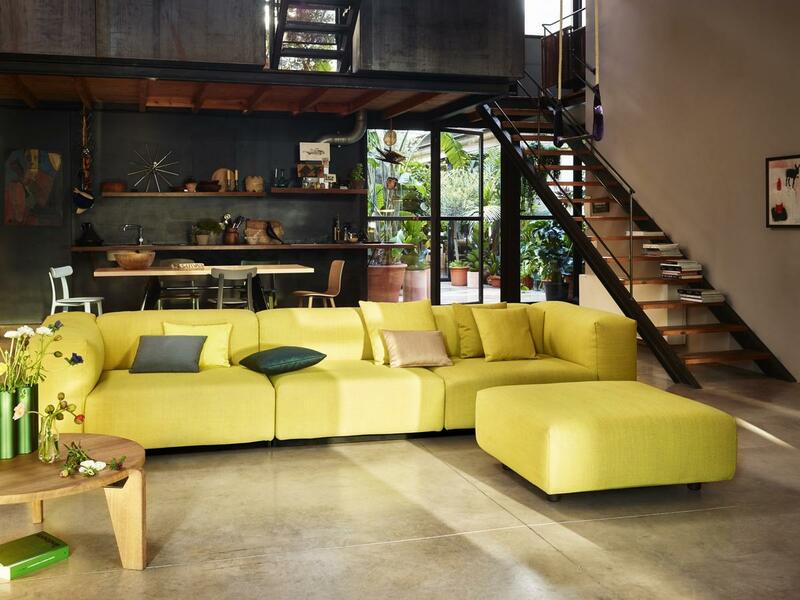 With its organic flowing shapes and elegant colour shades, the Vitra Freeform Sofa provides a singular charm and, optionally, with matching ottoman seating for several people to sit relaxed and comfortable.